Replacement ink pad only for printy 4810, 4910, & 4836. .. Replacement ink pad only for printy 4800, 4820, 4822, 4911 & 4951. .. 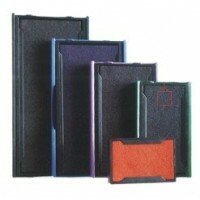 Replacement ink pad only for printy 4912 & 4952. .. Replacement ink pad only for printy 4913 & 4953. .. Replacement ink pad only for printy 4915. .. Replacement ink pad only for printy 4916. .. Replacement ink pad only for printy 4921. .. Replacement ink pad only for printy 4922. .. Replacement ink pad only for printy 4923 & 4930. .. Replacement ink pad only for printy 4924, 4740, 4724 & 4940. .. Replacement ink pad only for printy 4925. .. Replacement ink pad only for printy 4926 & 4726. .. 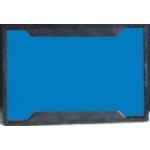 Replacement ink pad only for printy 4727 & 4927. .. Replacement ink pad only for Trodat Printy 4928. .. Replacement ink pad only for printy 4929 & 4729. ..